Being located in front of Perimeter Mall, the second largest mall in the Southeast, comes with big responsibility. One would expect you to be refined, impressive, and able to associate with the high-end retailers located across the street. The Capital Grille does just that. From its prestigious exterior to its elegant and relaxed interior, the scene is always set for the upscale lunch or dinner you came to receive with your significant other. Mahogany paneling and art deco chandeliers coupled with warm lighting and white linen tablecloths await the two of you inside. Whether you sit in the lounge, or a dining room, you&apos;re sure to receive attention that is both gracious and attentive. So pick your seats, and prepare to be wined, dined, and dazzled like never before. "Can I start you off with any appetizers?" The answer to this is always yes. 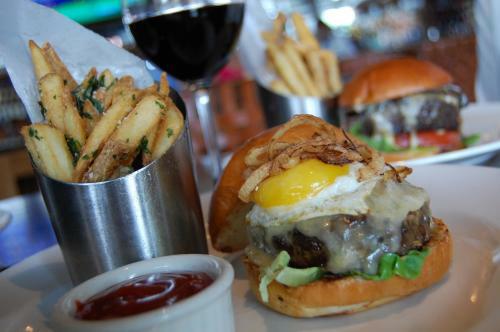 The Capital Grille offers a list of savory options that are sure to please. Their Pan-fried Calamari with Hot Peppers comes highly recommended, as well as their Cast Iron Garlic Shrimp with Olive Oil Crostini. Most of their appetizers fall under seafood, so a safe but just as delicious option is the Prosciutto Wrapped Mozzarella with Vine Ripe Tomatoes. Prosciutto and cheese are winners by themselves, but the tomatoes add another bold flair to the dish as they are tossed in 15-year aged balsamic vinaigrette and sprinkled with basil. Now that&apos;s something to talk about. 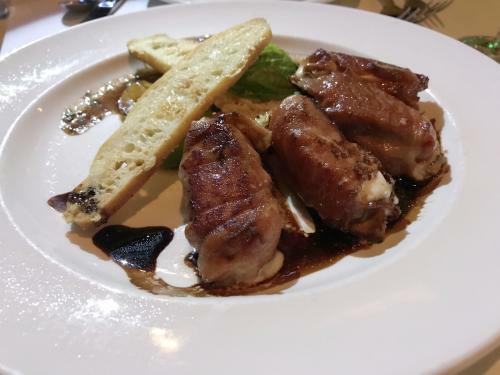 The plate comes with four peaces of the prosciutto wrapped mozzarella, making it easy to share without compromising your appetite for the next course. Wagyu and Wine go together like horse and carriage. Like peas and carrots. Like you and your lovely date. 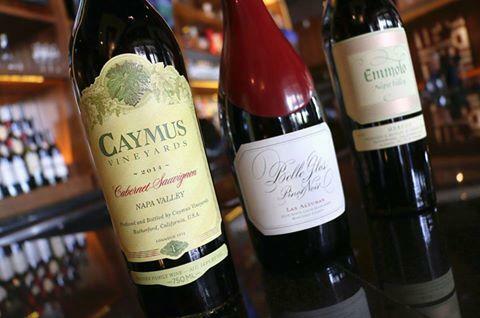 Now through November 19, you can enjoy the finer food and wines in life for just $25. Choose from a menu of three mouth-watering Wagyu burgers artistically prepared by Chef Matthew Stone, then select an acclaimed wine pairing form the renowned Wagner winemakers. For your side: golden truffle fries that are absolutely addicting. Listed below is the full menu of Wagyu and Wine options. Trust us, this will be the best decision you make all night. Tasting Notes: Plums, cocoa and fine oak with hints of wildflower and roasted chestnuts. Tasting Notes: Dark berry, baking chocolate, and fig with an earthy, smoky finish. It&apos;s been such a great evening for you two, why not put a cherry on top? Pick out a dessert (or two) while you enjoy the complimentary warm towel service provided at the end of your meal. Go with the handcrafted ice cream if you want to keep things light and traditional. 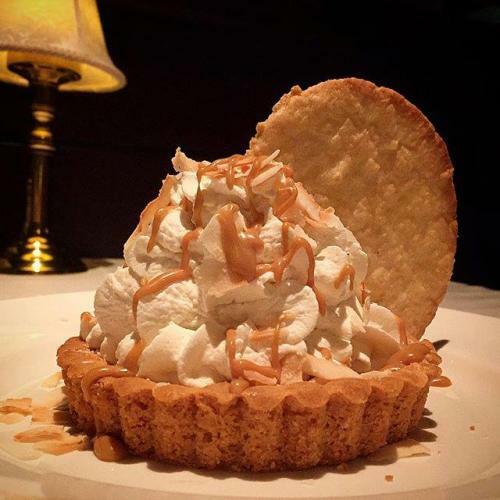 But if it&apos;s decadence that you seek, then you have to choose the Coconut Cream Pie with House Made Caramel Sauce. Alternatively, you can cool things down nice and easy with The Capital Grille Signature Cheesecake. It&apos;s served Brûlée style with fresh berries on the side. Choose your own perfect adventure. You both are guaranteed to walk away with hearts in your eyes.